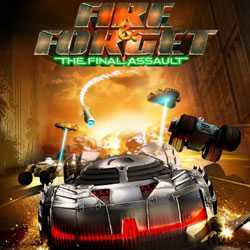 Fire and Forget The Final Assault is an Action and Racing game for PC published by Gravity Europe SAS in 2013. Get ready for deadly races! Each racer tries to destroy the other cars to win this kind of competitions. So, You have to do the same thing for money. If you’re ready, Get your car from the garage.